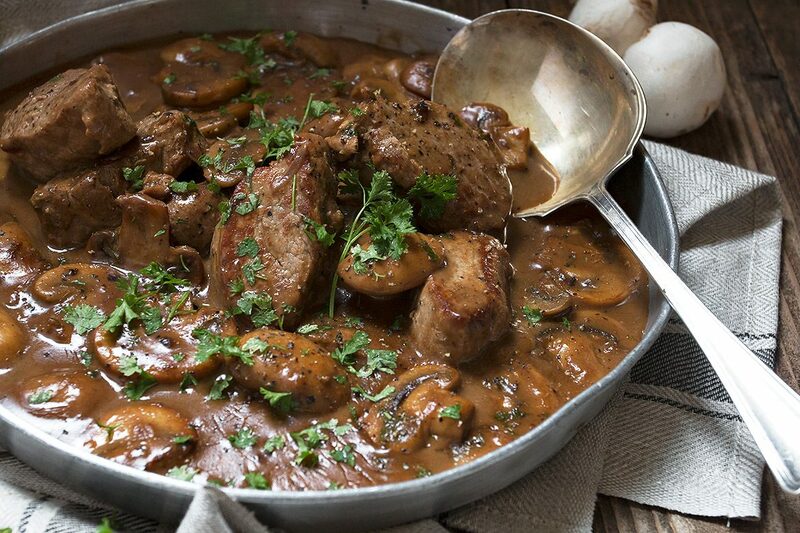 This quick and easy Mushroom Marsala Pork Tenderloin, uses always tender pork tenderloin cut into quick cooking medallions and cooked up with a delicious mushroom Marsala sauce. 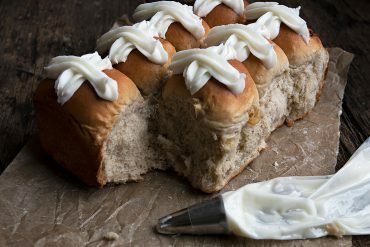 This recipe was first published in 2014, and remains in regular rotation in our household! I though it was in need of some updated photos and just general updating, though. I’ve also added a quick video showing how to remove the silverskin on a pork tenderloin. 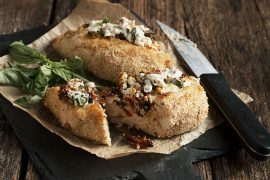 This delicious recipe is one of my favourite ways to enjoy pork tenderloin and the fact that it is quick, easy and delicious is just a big bonus! 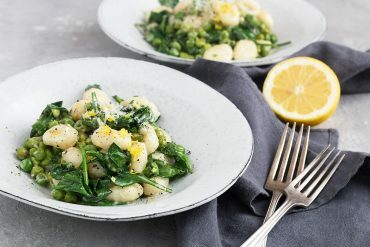 But while this dish is quick and easy for a weeknight meal, it’s also special enough for entertaining, which is always good. I enjoy this dish served with rustic mashed potatoes or try a garlic mashed. I will set some water to boil for the potatoes while preparing my ingredients. The potatoes then boil as the dish gets cooked on the next burner. Simply drain the potatoes, add some cream and butter and mash. Try some small new potatoes and leave the skin on. Pretty and easy. I love this dish with pork tenderloin, but I have also made it with beef medallions or thinly sliced chicken breast. I think it would be nice with other cuts of pork as well, such as boneless loin chops or even bone-in pork chops. As for the Marsala, I use the Italian Sperone Dry Marsala (bottle pictured below). This dish cooks up quickly in a really hot skillet, so be sure to have all your ingredients measured, ready and handy next to your pan. You won’t have time to run and get things! As mentioned, above, this entire dish should be cooked over a bit more than medium-high heat, depending on your oven and/or the pan you are using. You want that to get a good sear on your meat, to get golden, delicious mushrooms and to reduce your sauce quickly, so don’t hesitate to nudge up the heat under your pan if needed. For years I’ve been writing “remove the silverskin” on recipes using pork tenderloin, but it occurred to me that not everyone knows what that means or how to do it. So I thought I’d make a quick how-to video on show how to remove the silverskin on pork tenderloin for anyone who might need it. Using a piece of paper towel to pull the pieces off, is one of the best tips I ever learned. So much easier! The reason to remove the silverskin in the first place, is because it shrinks as it cooks and causes the meat to warp and cook unevenly. It’s is also unpleasantly tough to eat. 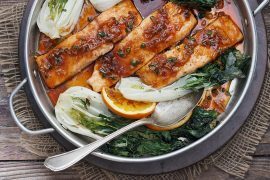 This is both a quick and easy dish for weeknight meals and a great dish for entertaining that cooks up quickly. Be sure to have all your ingredients measured, ready and handy for this one. Try it with beef medallions or thin chicken cutlets as well. Trim the tenderloins of silverskin and any excess fat. Cut the tenderloins into medallions about 1 1/2-inches thick. Place medallions with the cut side up and press down with the palm of your hand to flatten slightly. Season the meat with salt and pepper. Heat 3 Tbsp. oil and 1 Tbsp. of the butter in a large skillet over high heat , somewhere between medium-high and high. You want a really hot pan, but not so hot that it will scorch. When the butter is melted and foaming, add the meat and sear until browned, 2 to 3 minutes. Don't over-crowd the pan. Do in two batches, if necessary. Flip and cook the other side until the meat is well browned and slightly firm to the touch, about another 2 min. Transfer pork to a plate. Melt the remaining 2 Tbsp. butter in the pan. Add the shallots and a pinch of salt and cook, stirring for about 30 seconds, using a wooden spoon to scrape up any browned bits from the bottom of the pan. Add the mushrooms and cook until all of the mushroom liquid has evaporated and the mushrooms are golden, about 3 minutes. Sprinkle with the flour and add the Marsala. Allow the Marsala to boil until almost completely evaporated. Once the Marsala has almost completely evaporated, add the chicken broth and cook until the mixture is reduced by half, about 3 minutes. Stir in the cream and parsley. Return the pork and any accumulated juices to the pan, and cook, flipping the pork once, until it’s firm to the touch and still a little pink in the middle (cut into a piece to check), 2 to 4 min. Taste for salt and pepper and serve. Serve garnished with additional parsley. 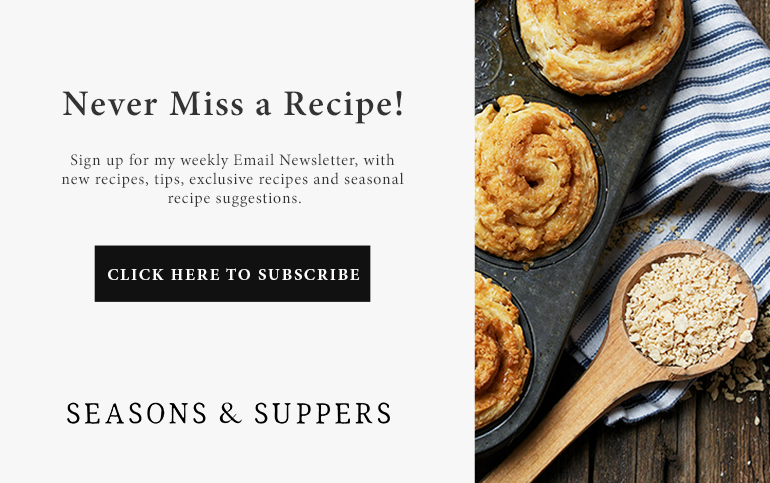 I am not a person who takes time out to write reviews, but I felt compelled for this recipe! It was obviously delicious and a dish that I will make again and again, but what I really wanted to give kudos to is the recipe writing skills! 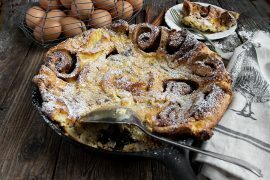 So often you are following along and you either know in your gut that you should be doing something a different way or something isn’t making sense, or the dish looks nothing like what you were expecting…but, every step of the way for this recipe, what was happening in your pan was exactly what the recipe described! Thanks for not only a tasty dish but also recipe directions that didn’t disappoint! Thanks so much, Holly! I have read a lot of bad recipes over the years. I try not to be that :) So glad you enjoyed it! Hi Jennifer. I love the sound of this dish! Do you think that this would freeze without being a total disaster? Im looking for dishes like these to freeze and take on holidays so I can have a work free break while still having delicious food…mommy of three young children here!!! Hi, I don’t cook with wine, what is a good subsistute ?? Hi Chris, You can just omit the Marsala and replace with a bit more broth and maybe a splash of red wine vinegar, for a bit of acidity. 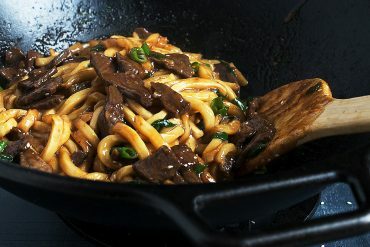 Do bear in mind that the Marsala in this one does provide a lot of flavour to the finished dish, so it may be a little plainer in flavour without it. Just prepared this recipe. It was delicious. Thanks for sharing it with us. Can I substitute brandy for Marsala? Hi Frederica, I suppose you could if you enjoy the taste of brandy with meat. Marsala has a very distinctive flavour, so brandy would definitely change the flavour profile here. If substituting red onion for the shallots, how much diced red onion should I use? Hi Jeanne, about 1/4 diced should be good. Enjoy! Made this tonight, so good !! Liked by all !! I did add garlic like above replies. This was the best Marsala that I have ever eaten. Hubby loved it as well. Served with smashed garlic potatoes, yum. Hi…I am an 80 year old disabled vet and the dish looks terrific. One thing about the mushrooms…are they fresh or canned? I am headed to the store now. But, no rating yet since I have not yet fixed it. All I can say is this was excellent!! So glad to hear, Alice :) Thanks! This was delicious! I eagerly await your next fabulous recipe. I am never disappointed. It really was delicious and simple! I did add a little garlic and some Cajun seasoning (for warmth, not heat). Thank you! An extremely good recipe the only ingredient I was forced to substitute was the Marsala Wine, instead I used a good half cup of Western Australian Chardonnay, quite dry, as in Gibraltar where I live Marsala is very hard to find, otherwise, on the whole the recipe was absolutely wonderful, many thanks for posting your wonderful recipe. So glad you enjoyed it James :) Thanks! Very delicious but I felt it was lacking one ingredient: garlic. Because the dish was finished, after a taste test, I decided to add a generous sprinkle of roasted garlic. Perfect! Thanks Catt :) So glad you enjoyed it! I too stumbled over your recipe for Mushroom Marsala Pork. I am having a dinner party for friends next week and I don’t want to spend too much time in the kitchen away from them and wondered if I made it the day before to enhance the flavour, or make the sauce and fry the pork and add to the sauce just before serving? What I don’t want is the pork to dry and go tough. Hi Wendy, This is a great entertaining dish, as everyone loves it! And fortunately, you have to go some to dry out pork tenderloin :) That said, I don’t think I’d make it the day before. You could make it ahead though. It really does cook up so quickly, it won’t take a lot of time “on the day”. I would cook it up as close to your guests arriving as you feel comfortable, then pop it in the fridge. You’ll want to under-cook the pork just a bit, to account for re-heating. Then cover your dish with foil and pop into a 350F oven just until re-warmed, probably 20 min? (depending on how cold it was going into the oven, so maybe take out of the fridge for a 10 minutes or so before putting in the oven, to keep the re-heating time to a minimum.) Not bear in mind, I haven’t actually done this :) This is just what I would do if I were setting out to make this one ahead. If you want to be completely sure, why not give it a test run over the weekend? 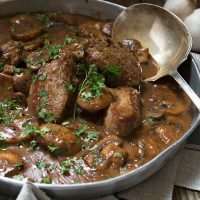 I stumbled on your site through another one and I was immediately drawn to this recipe for Mushroom Marsala Pork Tenderloin. I printed the recipe, went straight to the store and bought the ingredients and made it last night. It was so delicious and we can’t wait to try it with chicken. I did have to settle for another brand of Marsala as I didn’t have time to go to another store. Can’t wait to try some of your other recipes. Thank you. Thanks Jill and so glad you enjoyed it. It’s one of my favourite quick dinners and equally as nice with chicken, if you get a chance to try it! This looks delicious. 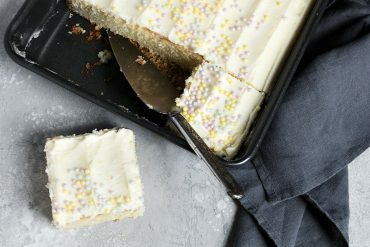 Can’t wait to make this for when company comes over! Can I make this in advance or do I need to serve immediately? Hi Ruchi, If you want to enjoy this one at it’s best, I would make fresh. That said, if you’d rather not and just enjoy your company, you can make this ahead. You may need to thin the sauce a bit and be sure not to over-cook the pork. Other than that, should be good. Enjoy! This looks delicious. I want to make it this Sunday for 9 people coming back after church. can I make this in a slow cooker? Hi Diane, This particular recipe is probably not suited to slow cooking. This one is about quick-searing the lovely tenderloin. Slow cooking would do totally different things to the meat, in more of a steaming/braising way. I imagine there are marsala recipes for the slow cooker if you wanted to try another one. I would definitely not use a pork tenderloin in the slow cooker though. Perhaps a whole loin cut of some sort. Tried this recipe for the first time tonight and it turned out absolutely amazing! The pork was succulent and tender and the Marsala sauce was rich and delicious. Huge hit and will definitely make it again! Loved the time incriminates in the recipe and all were very accurate and very helpful! Great to hear! One of my favourite ways to enjoy pork tenderloin :) Thanks! Made this last night and fell in love with it. The pork was so tender and flavorful. Directions and measurements were spot on. Looking forward to trying with chicken as well. Served with mashed potatoes and peas. Perfect Fall comfort meal! So glad you enjoyed this! It’s one of my favourite quick and delicious dinners :) Thanks! We love pork tenderloin, and we love chicken marsala Jennifer. Why have I never thought of this myself?! It looks amazing. Need to try this one soon! Tom will love it. 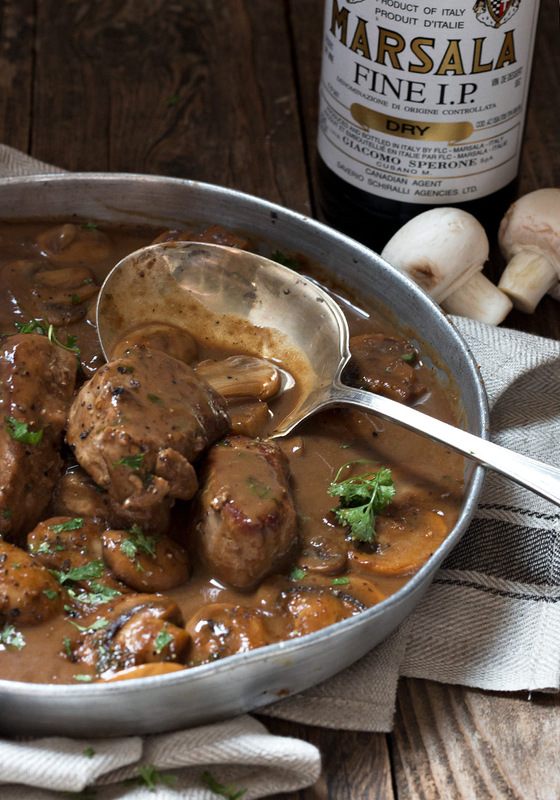 Thanks Mary Ann and the wonderful marsala mushroom sauce is just as lovely with pork, you’ll find! Last night as I was cooking a Pork Tenderloin I thought ‘What about a sauce??!!! So I made your Marsala Sauce. I let the Tenderloin rest then sliced it and put the slices into the sauce while I dealt with the vegetables. Fingers crossed I hoped the meat wouldn’t get tough and dry. Imagine my surprise, absolutely lovely. Meat flavoursome, stayed tender and sauce just sublime. I shall make it your way next time. Who can go past a lovely Marsala sauce! Thankyou Jennifer for another yummy dinner 😀. Mary you think just like me! :) I have a thing about sauce. I guess I just find plain meat boring and one note. So I am always drawn to meat with sauce recipes, like this one. Best of both worlds. Meat for my husband and sauce for me! I could slurp that sauce with a spoon! Gorgeous dish, delicious flavors! And I love the instructional video! Nice post! Pinned! I love it when I get to pick up new skills along with a recipe! Thank you so much for the video demonstration. I will be better prepared next time I need to handle pork tenderloin. That marsala sauce is everything! Thanks Milena :) And yes … that sauce is everything! This is going on my rotation too Jennifer. Thanks for re-posting it, I don’t remember it from before. It’s got everything I love! OMG- how good does this look/sound?! Love comfort food dishes like this and I would smother some garlic mash with that delicious sauce! It’s raining here today and this would be perfect! Recently made this YUMMY dish! So good!! Haven’t had Marsala for a long time but ended up getting a bottle ’cause I kept coming back to this recipe. Love the mushroom combo! Will have to try with chicken as I seem to have a constant supply in my freezer. Hi Irene and so glad to hear you are enjoying this dish :) It’s one of my favourite dishes! Quick, easy and delicious flavours. And yes, I keep a bottle of Marsala around as well, just for this dish. 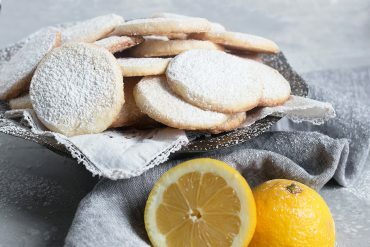 making this tonight but using porcini’s. Adding a bit of capers, too. Serving with garlic mashed potatoes and broccolini. Thanks – great way to prepare tenderloins! Tried this last night and it was a big hit! Very easy to make. Glad you enjoyed it, Carrie. One of my favourites! When I went looking for Marsala wine I had to choose red or white & sweet or dry – suggestions? Hi Darla, I use Sperone brand, dry red Marsala. Thanks April. I always seem to end up with a freezer full of tenderloins from buying them when they’re on sale. This is a nice way to use them (cutting them into medallions). Very tender, quick to cook and you can use any number of sauces with them. Hi from sunny and getting warmer by the day Muskoka, Sharon! You’ll enjoy this dish, I’m sure. I love it with mashed potatoes, as the marsala sauce and mushrooms go really well with it. Looks really good. The wife can’t have red meat so we eat a lot of chicken/turkey and pork. with pork being our go to meat. Will definitely try this. I think you would really enjoy this. Good with both pork and chicken. You know I’m all about quick and easy meals – definitely need to give this one a try! Yes I do! I think you would really enjoy this one, Chung-Ah. This recipe was wonderful. We prepared this dish for our Valentine’s Day dinner. Minor tweaks included using 1pd pork loin, doubled stock and used veal stock instead of chicken. Served with mashed potatoes. Tasted great day of, but even better next day. Jennifer, thank you for posting such a wonderful dish. So glad you enjoyed it and I agree, the left-overs are great, too! 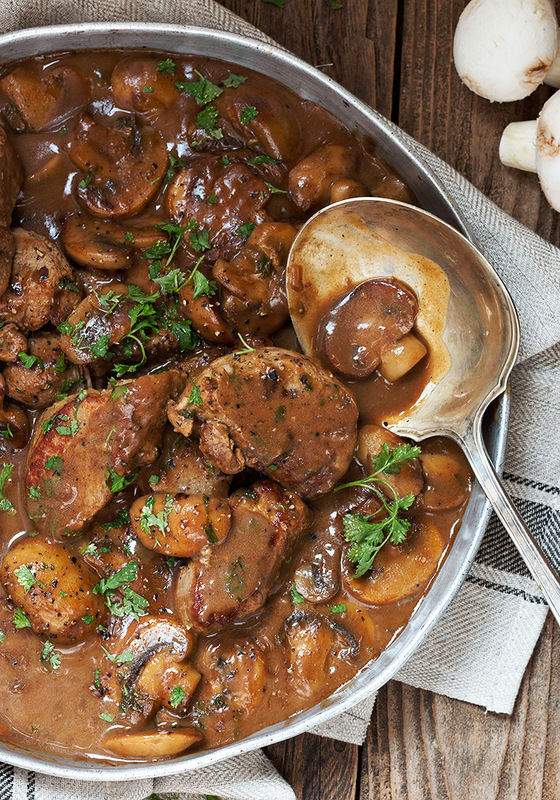 There’s nothing quite so delicious as mushrooms with marsala, what a tasty dish! Dinner in under 30 minutes, and it’s pork medallion? Yes please! It’s a winning combination, for sure! 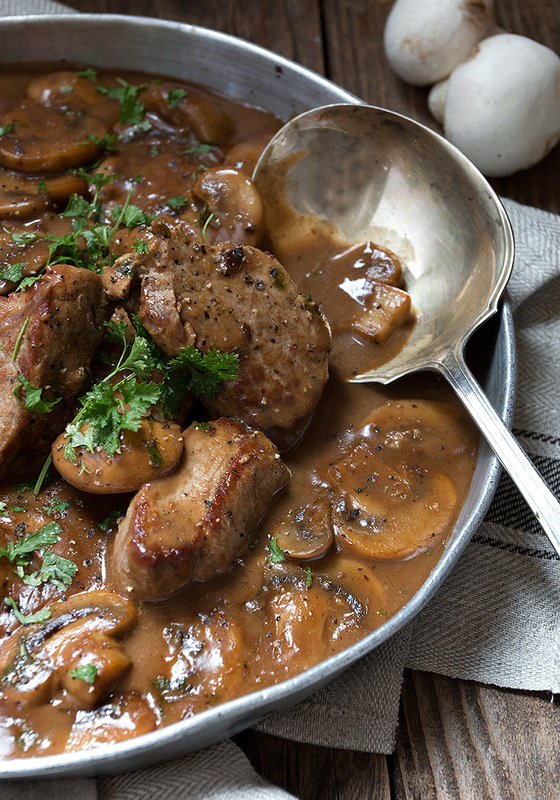 I love pork…and medallions…and mushrooms, so basically this is my total dinner package! Pinning for later! Thanks Courtney. It’s a delicious dish. Enjoy! Thanks so much, Monika. I’m sure you will enjoy it! I’ll be trying this with some venison loin and likely use a full pound of mushrooms. It should go well with roasted potatoes tossed with olive oil and Parmesan cheese. Sounds delicious, Anthony. The sauce should be nice with the venison. We eat a lot of pork tenderloin, but I usually roast it whole. I’m looking forward to trying something new. The whole family loves mushrooms so I think this will be a winner! I’m sure you would love it, Andrea. Everyone here enjoys it and it’s a nice use for pork tenderloin. Very moist! I only have red wine handy. Will that work? I think it would. If you have a port or sherry, even better. Turned exactly out as you see it in the picture. This happens very rarely. Tasts great, looks great – definitely a contender. Thank you!! !